Startup Cell 411 Inc. (getcell411.com) has created a mobile app that makes it virtually impossible for governments, police and criminals to erase video which could serve as evidence of a crime or abuse. The app, called Cell 411, has been around for a number of months but the newly-released version has features that are unseen in any other mobile apps used by activists, aiming to fight censorship and also criminal activity. One recent glaring example of police censoring and blocking an abuse victim from streaming live video of police violence is the recent police shooting and death of Korryn Gaines, which was visited by a SWAT team over an unpaid traffic fine. During the standoff, the police ordered that Facebook turn off Gaines’ Facebook and Instagram accounts in an effort to prevent her from streaming live video to her friends. The police shot and killed Gaines and shot her young child who was hospitalized. Without access to social media, the victim had no opportunity to record and stream what transpired in her apartment. Cell 411 is an emergency management platform and mobile app, which allows users to alert trusted contacts in case of an emergency. 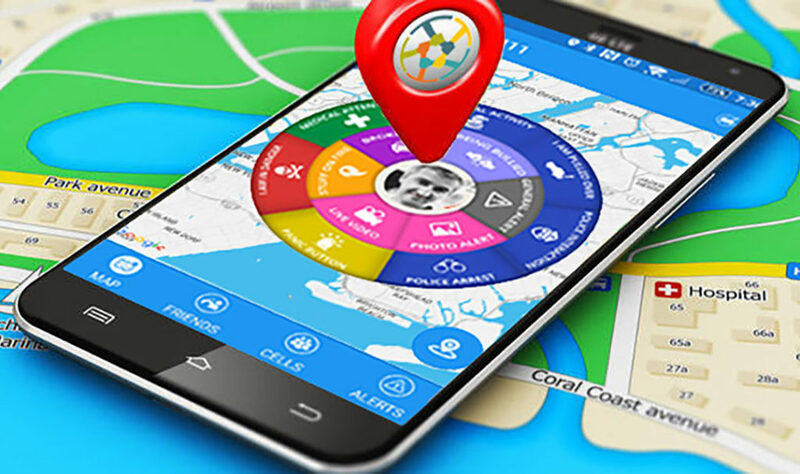 Whether it is a medical emergency, a car break-down, police interaction or government abuse, the app can alert trusted contacts in real time with the type and exact location of the emergency, allowing users to avoid interaction with police if possible and only involve individuals they trust. The app has been gaining traction in crime-ridden countries like South Africa and has been used to build neighborhood watch groups and also activist groups throughout the world. Furthermore, Cell 411 allows users to stream live video and audio to potentially thousands or tens of thousands of users allowing them to download the video streamed by a friend to a local device. The video can be distributed to large numbers of users in real time, making it impossible to be completely erased from any servers. To add to this impressive list of features, the latest release will allow users to stream live video to their own Facebook wall, their own YouTube Live channel, and the Cell 411 official TV channels on Facebook and YouTube. These features increase the distribution footprint for video streams, making it even more difficult for evidence to be removed or erased. The video is also saved on the local device in case a forensic copy needs to be recovered at a later time. “Shortly after the shooting of Philando Castile, police officers confiscated his fiancee’s smart phone and attempted to erase the footage by accessing her Facebook account and removing the Facebook Live video she recorded,” said Virgil Vaduva, founder of Cell 411, “not to mention the recent example of Korryn Gaines who had her Facebook and Instagram accounts suspended by police shortly before police shot and killed her and shot her five year old son,” said Vaduva. “While it is illegal to do so, there have been numerous cases of both criminals and government employees attempting to destroy recorded video evidence from devices or social media accounts or prevent users from recording and streaming video of alleged abuse. Our platform allows users to create a wide and decentralized network for distribution of video in real time to a large number of trusted users, making it very difficult if not impossible to destroy,” said Vaduva. The Cell 411 app allows users to stream video to connected Cell 411 users, save it to the local device if the user’s device lacks an Internet connection, stream it to Facebook, YouTube and other distribution platforms the users choose to engage. The video cannot be erased from the platform once it is streamed and it can be downloaded by any of the trusted contacts chosen by the user. While Cell 411 has received wide criticism from law enforcement, with Police One claiming that it endangers the lives of police officers, the app has also become extremely popular throughout the world and has been selected by the Victoria & Albert Museum to be featured in the Future of Design Exhibit in London in 2017. The exhibit will feature objects, ideas and designs which are likely to influence the future of mankind in a positive way. The company denies that the app is aimed solely to law enforcement and points out how it is being widely used by neighborhood watch groups and families to keep each other safe in emergencies. “We are simply building a platform to make the world a little bit better and safer, and encourage users to interact with each other on a voluntary basis. Good ideas don’t require force in order to be adopted, and users are voluntarily choosing our app because they want a non-violent way to solve conflict and keep each other safe,” said Vaduva. The company has ambitious plans for growth and is planning to release a personal and customizable panic button and also build a world-wide drone fleet and adding features to allow users to dispatch monitoring drones to locations where violence is likely to take place or medical response is necessary.